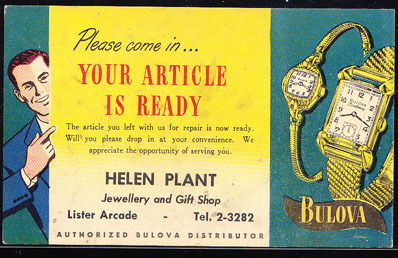 61127 ENT CANADA (1938) Bulova watches*. Postal card (N) with color advertisement. Some soiling present. 73198 MAX FRANCE (1942) Town hall clock tower - Arras*. Maximum card with First Day cancel. Scott No 459, Yvert No 567. 54845 SPE JAPAN (1960) Clock tower*. Ozaki memorial*. MIHON (specimen) overprint. Scott No 686. 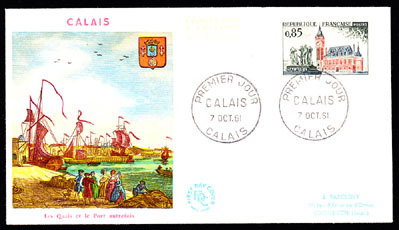 72833 FDC FRANCE (1961) "Burghers" by Rodin*. Clock tower, city hall, Calais*. FDC with cachet. Scott No 1012. Yvert No 1316. 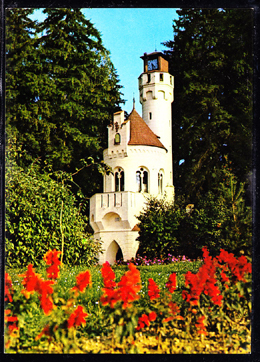 68852 ENT ROMANIA (1969) Castle with clock tower. Postal card (N) with color photo. 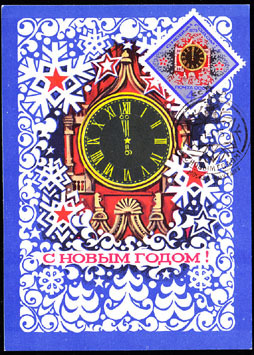 73550 MAX RUSSIA (1974) Spasski clock tower*. Maximum card with thematic cancel. Scott No 4261, Yvert No 4095. 76939 ENT POLAND (1975) Clock tower*. 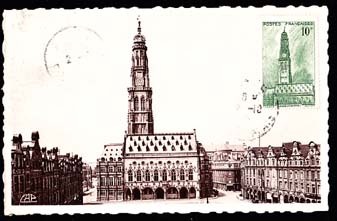 Postal card (N) with corner illustration of Zamosc town hall. 67602 SPE NORTH KOREA (1977) New Year. Specimen. Scott No 1549, KSC No 1579. 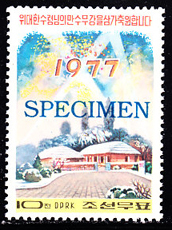 67616 SPE NORTH KOREA (1978) New Year. Specimen. Scott No 1660, KSC No 1656. 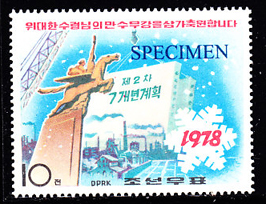 67700 SPE NORTH KOREA (1981) New Year. Specimen. Scott No 2013, KSC No 2054. 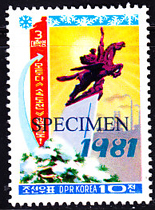 67710 SPE NORTH KOREA (1982) New Year. Specimen. Scott No 2137, KSC No 2165. 67719 SPE NORTH KOREA (1983) New Year. Specimen. Scott No 2262, KSC No 2495. 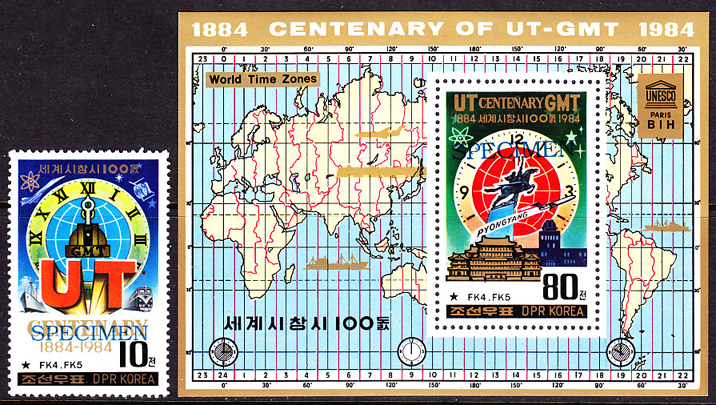 67742 SPE NORTH KOREA (1984) Universal time centenary. 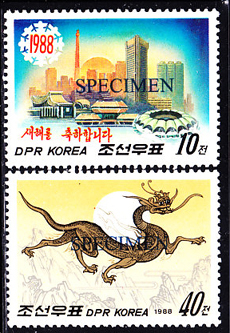 Set of 2 specimens (stamp + S/S). Scott Nos 2402-3, KSC Nos 2441-2. 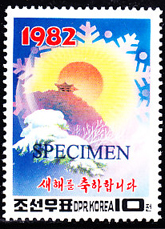 67752 SPE NORTH KOREA (1985) New Year. Specimen. Scott No 2451, KSC No 2489. 67771 SPE NORTH KOREA (1986) New Year. Specimen. Scott No 2541, KSC No 2581. 76950 ENT ROMANIA (1988) Antique brass clock*. Entire (N) with color illustration. 76926 MAX ROMANIA (1988) Bohemian porcelain timepiece*. Maximum card with thematic cancel. Scott No 3523. 67839 SPE NORTH KOREA (1989) New Year. Set of 3 specimens. Scott Nos 2799-2801, KSC Nos 2858-60. 67857 SPE NORTH KOREA (1989) New Year. Set of 2 specimens. Scott Nos 2883-4, KSC Nos 2948-9.